Rachel grew up in Massachusetts and attended Oberlin College (2012), where she majored in Biology and History. She completed her PhD work at Yale University with Mals Mariappan (2017), studying the Unfolded Protein Response in mammalian cells. From 2017-2018, Rachel was a lecturer at Yale. 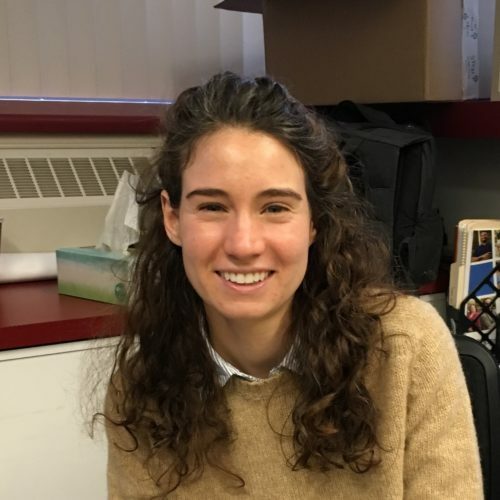 She joined the Baldridge lab in 2018 and is working to identify mechanisms of substrate recognition in ERAD. She enjoys hiking and playing with her new puppy, Jasper! Dynamic changes in complexes of IRE1α, PERK, and ATF6α during endoplasmic reticulum stress. The Sec61 translocon limits IRE1α signaling during the unfolded protein response. A functional link between the co-translational protein translocation pathway and the UPR.